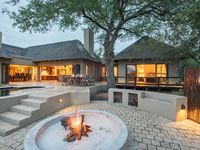 Properties in Africa average 4.5 out of 5 stars. PRIVATE POOL, WITHOUT OPPOSITE, 200M FROM THE BEACH. Property 27: PRIVATE POOL, WITHOUT OPPOSITE, 200M FROM THE BEACH. Luxury villa for 8 people with private pool in golf. Property 42: Luxury villa for 8 people with private pool in golf. Cozy furnished ideally located in the seaside town of Etang Salé. Property 49: Cozy furnished ideally located in the seaside town of Etang Salé. We had a wonderful long weekend stay. I already miss the outdoor shower, the view, and the amazing wildlife seen from the house. The firepit was perfect for the chillier evenings, we even managed to see a shooting star the last night. Everything we needed to cook our meals was available in the spacious kitchen. I highly recommend this house. What a wonderful place to stay! Love the Arab - African style home. The staff, Rose, Henry &amp; Dixon made us feel very welcome and at home. Rose was such a delight to greet us on arrival with a refreshing drink and fresh flowers in our rooms. Her cooking was delicious and we most certainly enjoyed every meal and her beautiful smile. Three days was not enough... we wish we had more time there.